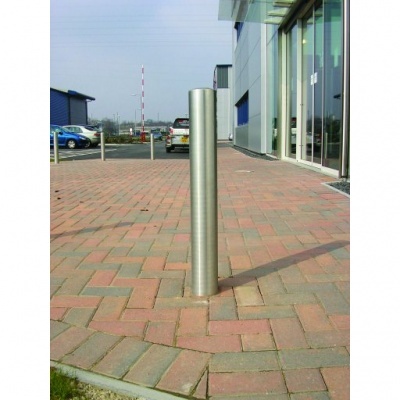 Marshalls Rhino RS/001 root fixed stainless steel bollard with a 1000mm height above ground and features a standard 114mm diameter. Install a bollard that reflects well on its surroundings – literally – by choosing the Rhino RS 001 stainless steel bollard. 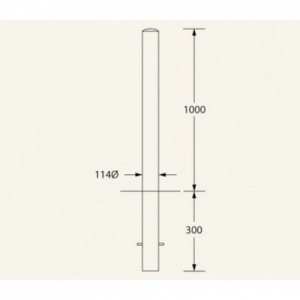 Clean, simple lines make it the elegant option in more contemporary settings, and also make it a shining example of the Marshall’s aim of creating better landscapes. 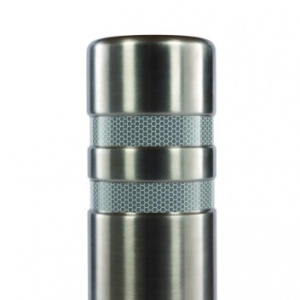 But the Rhino RS 001 is not just about looking the part – high grade steel makes it exceptionally strong, and Marshall’s stringent manufacturing standards make sure that that strength is consistent and long lasting. A highly desirable stainless steel finish that starts with a competitive price, free delivery and comes with a comprehensive guarantee of 12 months. 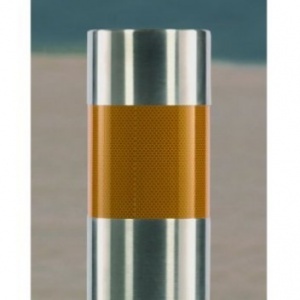 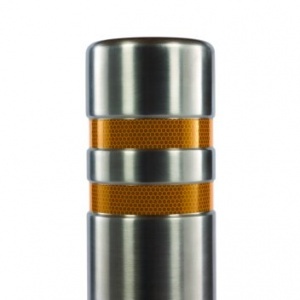 Rhino RS 001 security posts are brushed stainless steel satin finish as standard.